Track your child's yearly academic planner and syllabus completions; just a click away. Never miss any circular or information from your child's school with our online diary. Track your child's MI, Riasec and Student Engagement assessment on the go. Experience freedom and security with our feedback & complaint central. MBA, Kellogg school of management, PhD, University of Liverpool on Student employability, Jamnalal Bajaj Award, Bharat Shiromani Award, PIMR Outstanding Educationist Award, Rex Karamveer Chakra Gold Award, The Bharat Gaurav Award and the Indira Gandhi Priyadarshini Award among others. MBA, IIM Kozhikode, 16+ years of experience in Reliance, L&T. 10+ years founder education venture. 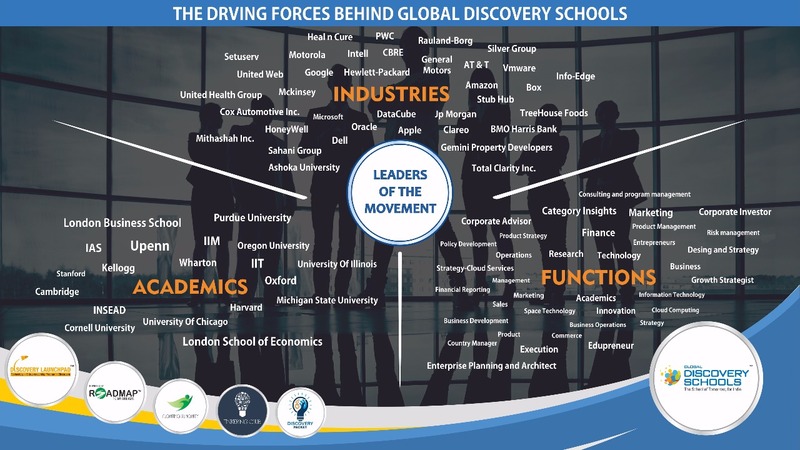 "Global Discovery School shows high level of transparency which is not seen in any other school. School management takes parents through all the micro details that are executed in school involving students." "Global Discovery Schools has specialized team to find out inherent ability of child and support children to grow in area of their interest." "School is working in a direction which is giving children understand basics and explore more and more areas of study and life and that's whats translate I Want to be Me."